Since last Friday all the students stopped their lesson. 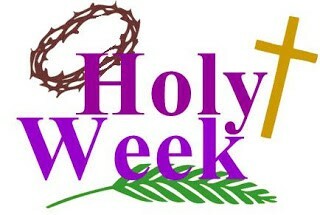 Holy Week is here! And what it is about? Well, depending on the country where is celebrated, this week has more or less religious connotations and more or less importance. 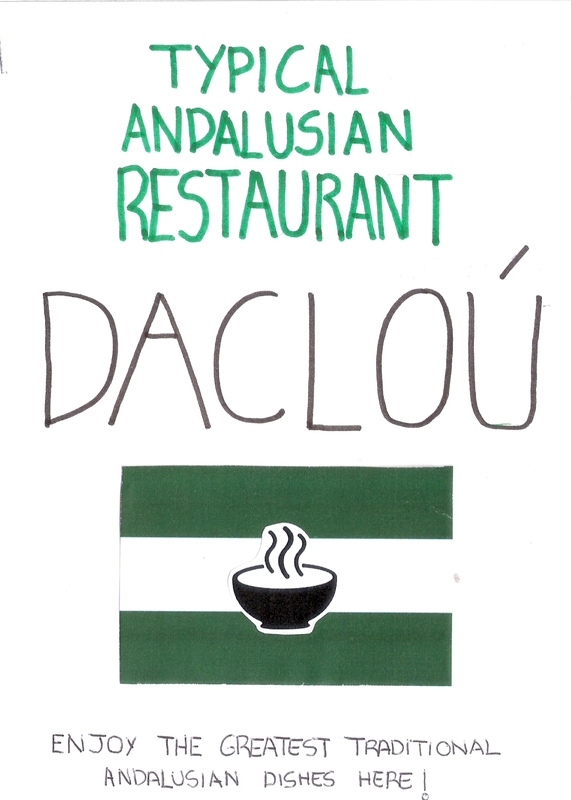 We wanted to show you how it is celebrated in different countries, apart from Spain where there is deep tradition. 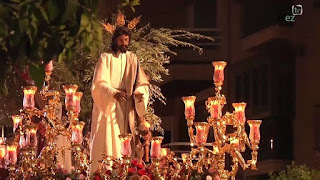 Spanish Holy Week is celebrated with famous processions, which are manifestations of faith, organized normally by brotherhoods. These brotherhoods carry over their shoulders different religious images, called “pasos”, related to the Passion of Christ. This tradition has been consolidated over the years, but its beginnings go back to 1547 when the Tarifa marquis returned to Spain from the Holy Land. 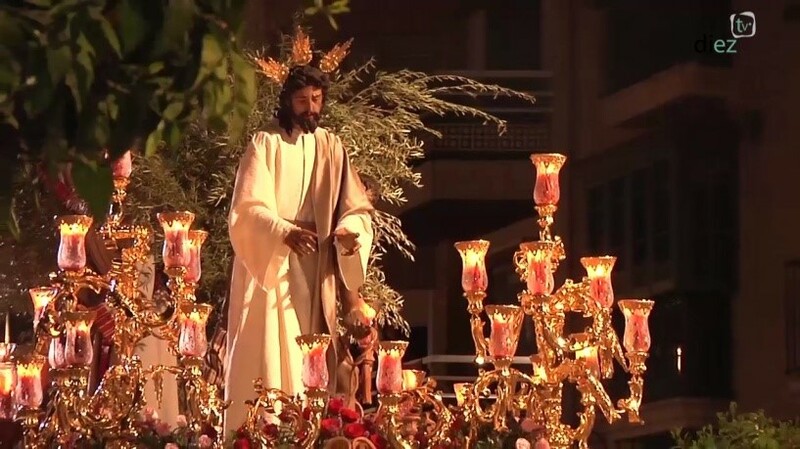 Since then, he established the “Via Crucis” in Spain, making it one of the most important events in the country. For Christians, Easter (Holy Week) is about the crucifixion and resurrection of Jesus Christ. After his death, Jesus’ body was put in a tomb and three days later, the tomb was found to be empty, and people discovered that Jesus had risen. Easter is a Christian spring holiday which celebrates new life and rebirth. Many of its symbols, such as rabbits and eggs, come from ancient traditions. Not everyone celebrates Easter at the same time. For example, the Greek Orthodox Church celebrates at a different time to the Catholic Church. Easter is not on the same date each year. It is usually celebrated between March and April. 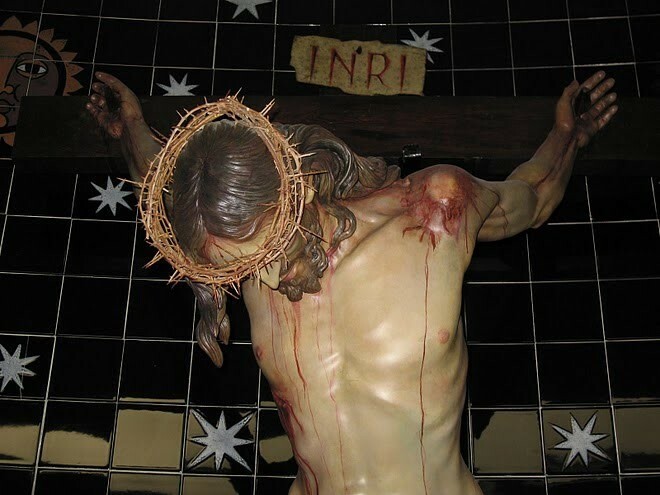 Crosses – Jesus was crucified on a wooden cross. These symbolise his death and resurrection. Eggs – symbolise new life and rebirth. Rabbits – symbolise new life. Lambs – represent spring and new life. Palm fronds – symbolise peace and have links to the Bible which tells of Jesus being greeted with palm fronds when he arrived in Jerusalem a few days before he was arrested. Purple – the colour of royalty and a sign of mourning. Many Christians participate in a time called Lent (the forty days before Easter). Palm Sunday (the first day of Holy Week) is the day that Jesus arrived in Jerusalem. Good Friday is the day of Jesus’ crucifixion and death. Easter Sunday comes as a huge celebration that commemorates Jesus’ resurrection. In Australia Easter is celebrated over a four day long weekend. It starts on Good Friday and ends on Easter Monday. Over the weekend you might attend a church service, have an Easter egg hunt or receive a chocolate egg or bilby (an Australian desert marsupial with large ears and the size of a rabbit). 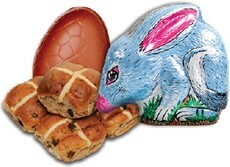 Another treat which Australians enjoy eating over Easter is the hot cross bun. These delicious treats are usually made with spices and dried fruit and decorated with a white cross, but you can also buy chocolate or fruitless hot cross buns. Germany has many Easter traditions. Easter Sunday is known as ‘Family Day’. 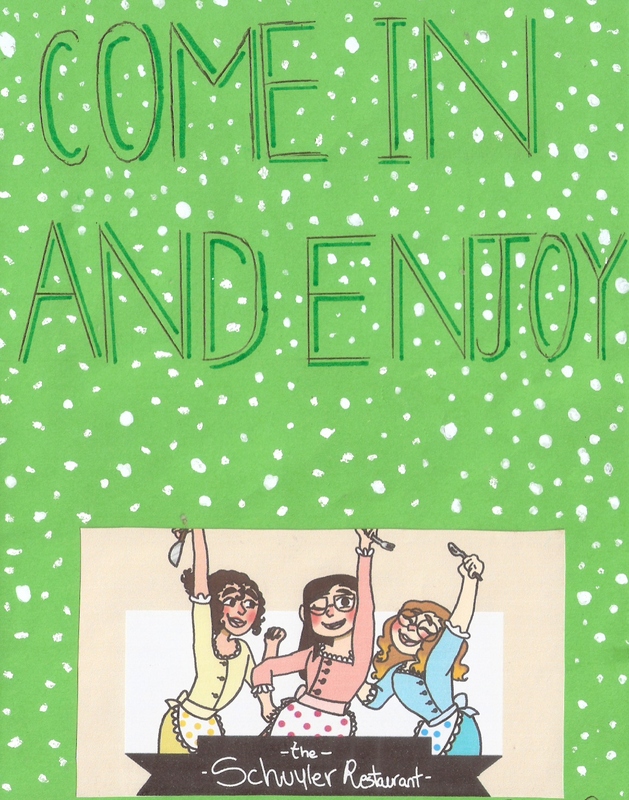 Lots of sweet treats are eaten, including a cake shaped like a lamb, and eggs and cookies are hidden in the garden. Many Germans also have an ‘Easter Fire’ where they burn their Christmas tree to show that winter is over and spring is coming. It is also popular in Germany to have an egg tree. Real eggs are painted and then hung from branches in a vase inside the house. In the USA, Easter brings to mind egg hunts, chocolate, jelly beans, and the Easter bunny. 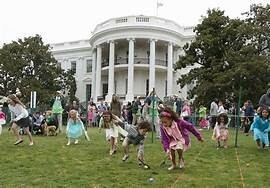 Those headed to Washington DC can enjoy one other very famous tradition where the White House opens its lawn to kids for some Easter egg rolling. This tradition was first carried out in 1878 and has continued ever since. Other attractions on the day include a visit with the Easter Bunny and an afternoon of storytelling. 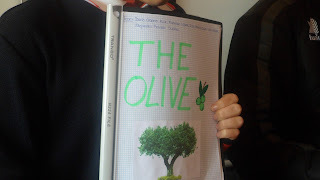 In Norway it is popular to read a crime or detective novel over the Easter long weekend. Mexico has a variety of traditional customs and religious practices for celebrating Easter. Thousands of churches in Mexico are packed with celebrants on this holy day to honour Christ. The church bells are rung with joyous fervour. In many communities, plays related to the events of Christ's life, right from His arrival in Jerusalem to His crucifixion and resurrection, are enacted on Holy Thursday and Good Friday. 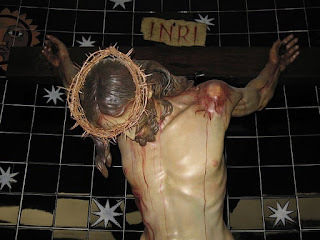 In some communities, even real crucifixion is included. All these enactments are performed by professional enthusiastic actors. The participants taking part in these enactments prepare for their roles for the entire year. Disfrutad en estos días de los maravillosos pasos que tenemos en Úbeda y otras ciudades de nuestro país y… muy especialmente de la cofradías a las que pertenecéis. 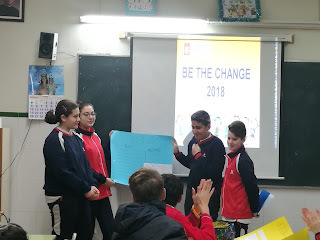 The project BE THE CHANGE 2018 started watching some short videos on young people who are already making changes in the world (Malala Yousafzai, Emma Gonzales...), so the students had some inspiration for their own projects. Cassandra Naidoo (our speaking assistant) gave the students (ESO 1A and 1B) in a handout for their reference, which was used to check that their final project was adhered to these criteria before they presented it. 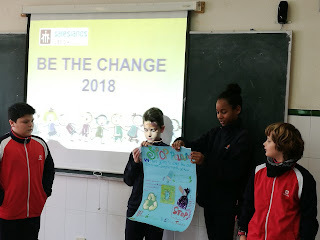 Once the students had the project checklist (a photocopy per group), they started preparing them (pollution, hunger, animal abuse...). After explaining how to prepare a project, how to distribute the parts of the plan..., my students were working in cooperative teams for three weeks and, finally, last Friday 16 of March, both classes could present their work with success. 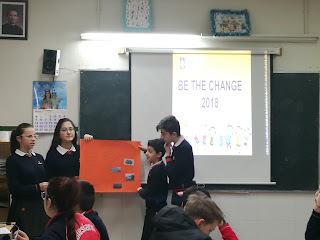 It has been a good experience both for students and teachers!!! Choose a problem (a cause) that you feel passionate about. Decide what is needed to make a difference. Imagine you have a deadline – a scheduled day where you will have to give your time to an activity focussed on the problem you chose. In order to prepare for this deadline, you must brainstorm possible solutions and activities that you and your team members, and the greater community can use to ease this problem. Once you have decided on an activity, you will have to decide how much time you will need to prepare for the final day.  What are we doing?  Why are we doing it? 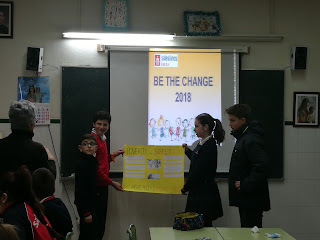  How can we do it?  Will we need help? 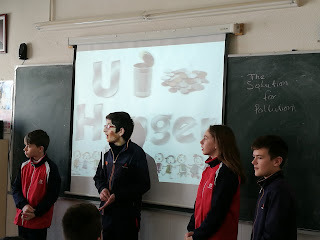  Will we need money?  How can we recruit more help?  How can we raise the money we need?  How much time do you we need to recruit people and raise money?  How much time will we give on the final day? ü Once you have answered all your questions, you will have to prepare your plan. ü If you need posters or notices to advertise for help/money, you will have to arrange time to make and distribute these. ü If you are making food or need to do collections of items, you will need to arrange a schedule to achieve satisfactory goals before the deadline. 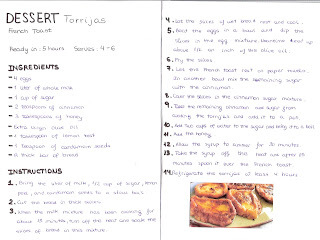 ü Once you have arranged your plan and scheduled the time needed for the preparation, you must make a poster to present your plan to the class. ü Remember, every member in the group must present a part of the plan by speaking. You must complete all steps before the presentation date (Friday, 16 March 2018). 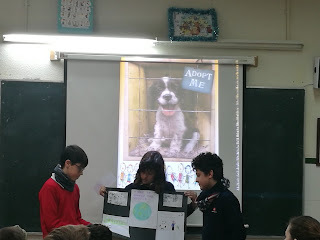 Groups will present their projects and posters in class. 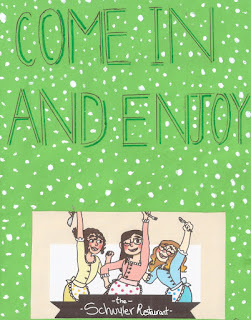 Remember, each member must have a turn to speak and the more creative and prepared you are with your idea, the better. 1. Choose the name of the restaurant - Choosing a restaurant name is as important as deciding what type of food you are going to serve. 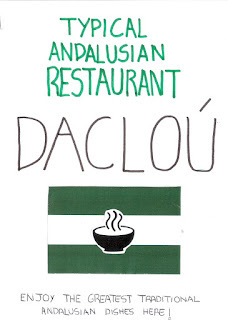 It may reflect your restaurant’s theme, its location or simply be a play on words. 2. Decide the menu – It must include Mediterranean dishes. 3. 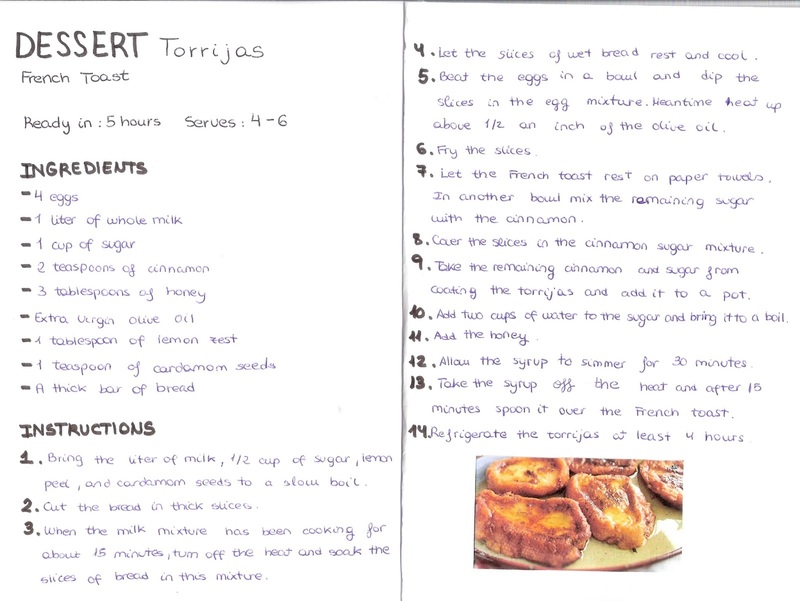 Write the recipes of some dishes (especially those related to Holy Week). 4. 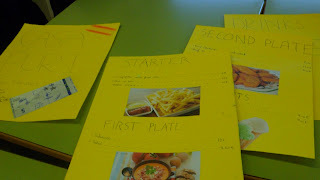 Prepare the menu - (including logos, photos, drawings...). 5. Students will be required to turn in their work by their DUE DATE (writing). Groups will present their menus in class. Remember, each member must have a turn to speak and the more creative and prepared you are with your idea, the better.